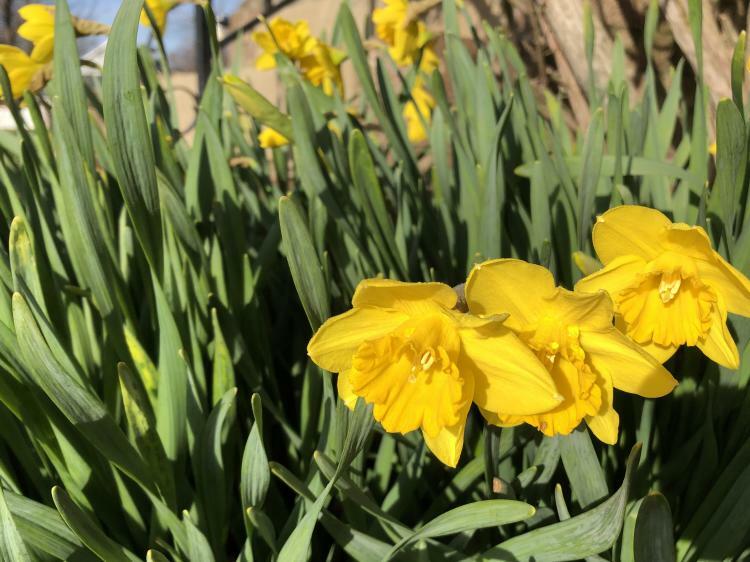 Every year around the middle to end of March, there are two little groups of daffodils that start to grow and bloom in the front of my house. And every year they pop up and I get so excited because flowers = spring! (Even if the weather doesn&apos;t reflect the season quite yet sometimes.) So, I&apos;m just going to go out on a limb and say it - spring has FINALLY sprung! After a long, cold (icy) winter, I&apos;m sure we&apos;re all ready for a little warmer weather here in the Rockford region. It&apos;s no secret that the inside of Nicholas Conservatory is beautiful and breathtaking all year long, but in the spring, the outside of the Conservatory really comes to life as well. I&apos;m lucky enough to drive past the Conservatory on my way to work every day, and around this time of year, the tulips in the front of the building start to pop up. There have been several years where I&apos;m driving, see the tulips, and literally pull into the parking lot to grab a picture for Instagram to share the excitement with all of GoRockford&apos;s followers! And it&apos;s not just the tulips in the front of the building that make the outside of the Conservatory so spectacular, it’s everything around the lagoon and beyond! Once the weather warms up and things turn green, the lagoon area is the perfect place to walk around and soak up the warm sun and really start to feel immersed into spring. Walk a little past the lagoon and you can enjoy the rose gardens, another must-see outside the Conservatory! We still have a few weeks left before Anderson Japanese Gardens officially opens for the season (counting down until April 26! ), but we can still watch the gardens get greener from the comfort of Fresco at the Gardens until then! Anderson Japanese Gardens is filled with so many different plants and features that they continually change throughout the year. Everything is green and lush in the summer, fall brings on the orange and red tones to everything in the gardens…but springtime is when the true colors really come out. With the flowers blooming and trees sprouting leaves, Anderson Japanese Gardens is a rainbow of colors in the springtime. Once the gardens open, I recommend going for a visit and wandering the gardens a while to really see the beauty of spring. The area with the waterfall is a must-see this time of year! 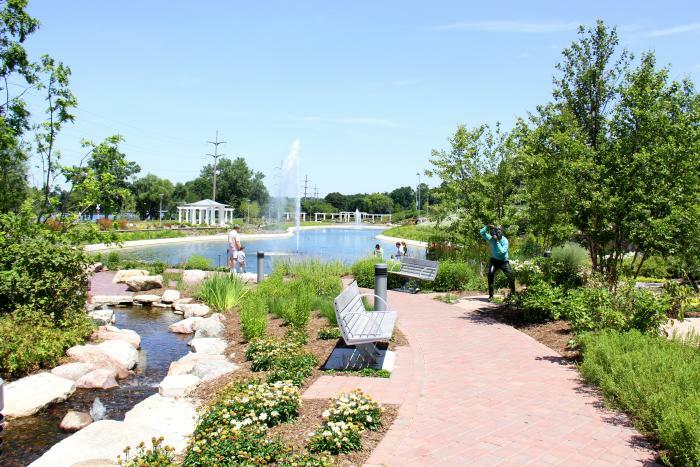 One site in the Rockford region that really shines in the spring and summer (who am I kidding, it shines year-round) is Klehm Arboretum. Klehm is 155 acres full of trees, plants, flowers and nature to observe. Once spring rolls around, the whole arboretum comes to life as the colorful flowers bloom and everything turns green. Once we get further into spring, their Children’s Garden is a site not to be missed. 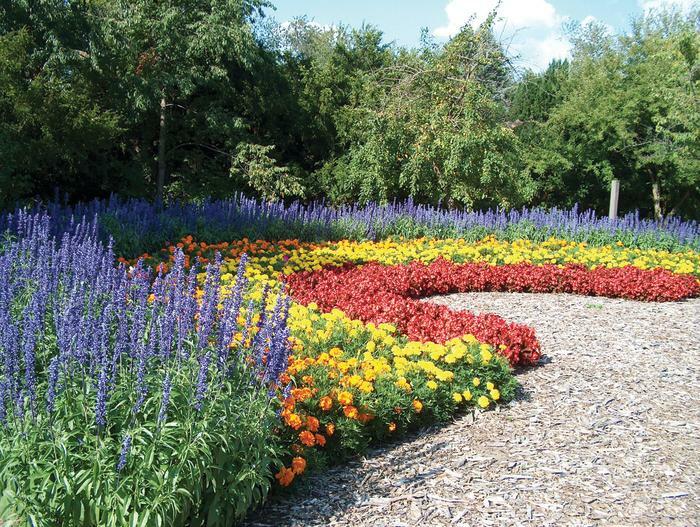 This special garden includes several different types of flowers in different colors that when put together form a rainbow! One of the other features I love about Klehm Arboretum is that they are dog friendly! As long as your dog is on a leash, you can bring your four-legged friend with you as you explore the grounds. I know I love bringing my dog anywhere with me, so this makes trips here extra special! 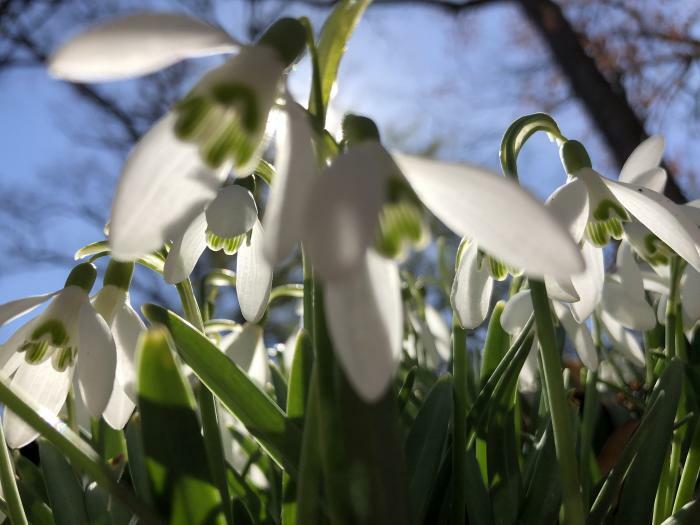 Now that you know where to look, have fun exploring the Rockford region this spring in search of flowers! I&apos;m hoping more start popping up soon...aside from just the ones in the front of my house.